First things first, what is CRM? 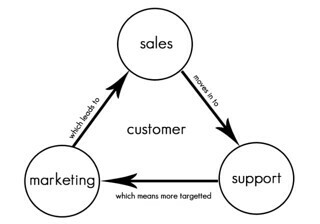 This is Customer Relationship Management, and it is a business strategy for connecting with customers/clients, increasing profits and providing better customer care services. CRM is very important for any business, especially those with online presences, and it should never be overlooked. There are certain factors to consider when shopping for these systems, and not any of these in the market will be good for your business. The following are handy tips that you should follow when considering a CRM strategy and vendors to provide the product that is best for you. CRMs are all about customers – There are always the chances of being lured into purchasing elaborate and flashy CRM strategies and losing focus on the wider picture. All the systems that you should decide to settle for should have their interests revolving around the satisfaction of customers, period. A strategy may be great but if it does not prioritize on the customers in terms of ease of usability, intuitiveness and such, then it is not worth your consideration. Always remember this when evaluating vendors and their applications. It is more than mere software – Customer Relationship Management is more than just choosing and integrating the best software in the market. Actually, it is a continual process that necessitates you to keep updated on the customer’s desires, needs and expectations and then respond accordingly in the shortest time possible. With the right strategies and applications, you will also be able to have access to the data relating to your customers for analysis. The point here is to use such data to build long-term relationships and therefore, it is important to understand what a CRM will deliver to you before implementation. Settle for On-Demand CRMs – traditional Customer Relationship Management services and programs necessitate the users to get the services of IT professionals in addition to demanding many resources in order to implement the incorporated programs. This is not the case with On-Demand CRMs and they are usually backed with support. If you operate a small or a medium-sized business, or whereby you have just made an entry to the CRM market, vendors offering On-Demand solutions are the way to go. On-Demand applications will enable one’s business to focus on exploring and expending in other areas, and this is the best option for any 21st Century business. Clearly understand your needs – There are many CRM vendors in the market today and so there are many options of applications to choose from. Most of these vendors claim perfection in the field, but to be sure that you are dealing with the right one, you will want to take time to evaluate them and their services separately. This will certainly lead you to the best vendor and one with affordable prices. It is always important to have in mind that the flashiest vendor may not be the best and here, you will want to consider established vendors only. Staying on the technology curve – The business world is always fast-paced and since the end is all about customers, you will have to keep up with technology trends. Consider a CRM application that you can easily update to improve the levels of your customer services. About author: Lawry Matteson is writing for one of the numerous on-demand CRM providers, when he isn’t spending his free time exploring the great outdoors or cycling.